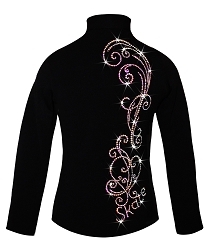 Hit the ice in sparkly figure skating pants personalized in rhinestones. 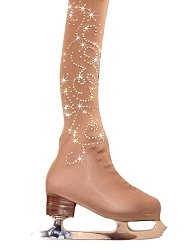 Stand out from the crowd with sparkly personalized pants. Choose between colorful rhinestones design, neon bright rhnestuds, or original crystals. Stay warm in Polartec power stretch fabric. Please, note all personilazed items are not returnable and take extra 2-4 bussiness days for production. Great as a Birthday or Holliday gift!